Is Domain Flipping Profitable? Sure Is, Read This Post For Some Tips! 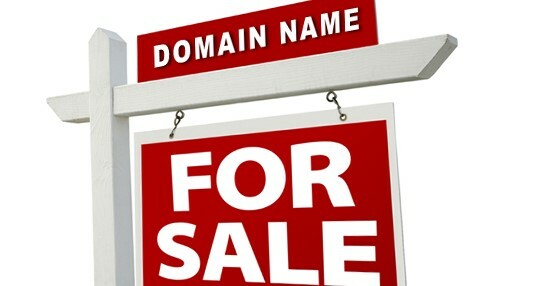 You must have heard so many people state that they sell and buy domain names. But, is it a lucrative business to opt for? To understand the profit you can make from this business, you have to understand the whole process of domain flipping. There are people who make a large sum of money only by buying and selling domain names. You need to pay attention on how to make thousands of dollars each month. You have to make sure that you are ready to learn and understand business skills and should come with a drive to learn anything new that you come across. Also, you can get useful advice on how to make money selling domain names from professionals selling and registering domain names. How Huge Is The Market? Just in case you are unaware of the fact, about 300,000 domains or even more are registered every day. When you start the count, more than 109,500,000 domains get registered, every year. In fact, these numbers keep increasing each year. This point in itself proves that the business of domain flipping is high on demand. You can literally earn thousands of dollars each month however you need to be ready to learn every new thing about this business. About more than half of these domains are not used for more than a year. Either the users do not go ahead renewing the domains or some do not utilize it for any website whatsoever! Hence these domains eventually expire. There are so many domains which have expired and even they are sold these days. Those who sell it, end up making a good amount of money. New businesses are always on the lookout for domains which are popular and they are ever willing to pay a huge amount, only to get hold of such domains. This way right from the start, these businesses would be highly reputed and familiarized with people. New businesses are more than eager to pay anyone for a good domain name that one owns. Hence your work here would be to find people who are ready to buy such domains. Understand that finding a domain name is not a tough call because each year there is thousands of domains getting expired. When planned and done the right way, you can easily turn $100 into $1000 or $1000 into $10000 through your domain flipping business. This is why this business is so much in demand and is getting highly profitable. Possible For You? Why Not? After you have understood the profitability quotient of this business, you need to get serious and take action. If you are quite serious about a practical business online and want to invest wisely, then go ahead with domain flipping venture. As stated before, learn about the business and invest time to this business model. Learn new things from experts and you would notice how quickly you make good amount of money. There is a lot of misinformation available over the internet. Make sure that you understand the basics of domain flipping from an expert and only then should you start with this business. When done the right way, you can start earning a good amount of money in a short time span.